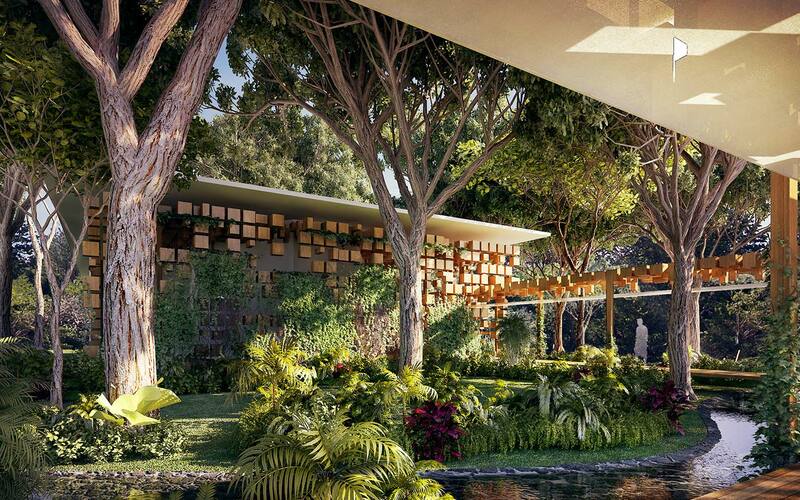 The Harmony Hotel in Guanacaste, Costa Rica has a worldwide reputation for its commitment to sustainability. 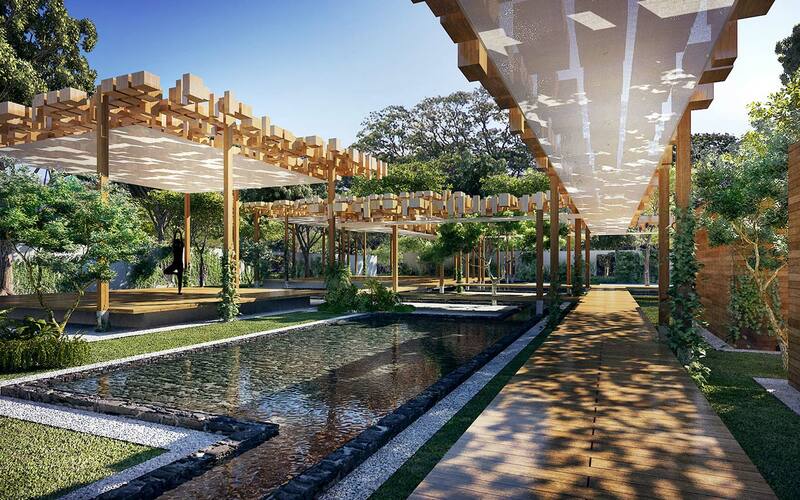 Health and wellbeing are the central part of the experience at Harmony, which is in turn enhanced by the raw and natural beauty of their setting in Nosara. 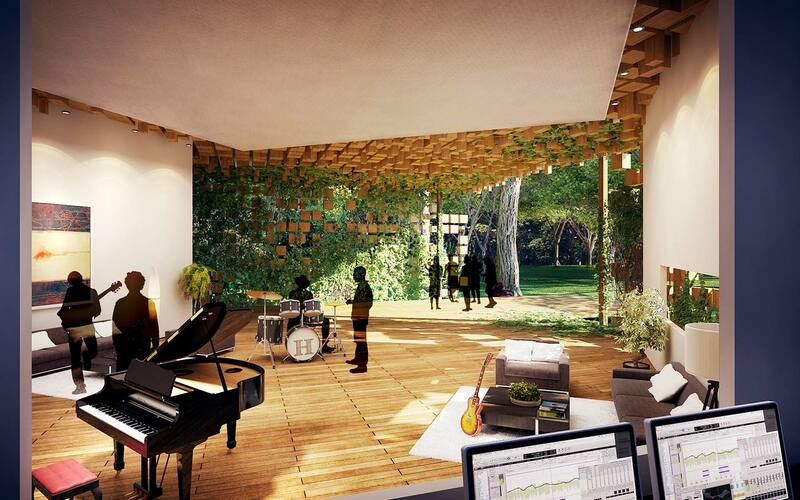 Studio Saxe was commissioned to create a wellness center and juice bar as part of a larger masterplan of facilities and activities. As the new spaces had to enhance the user experience, we designed corridors that hover over the landscape that twists and turn, taking people on unexpected journeys. 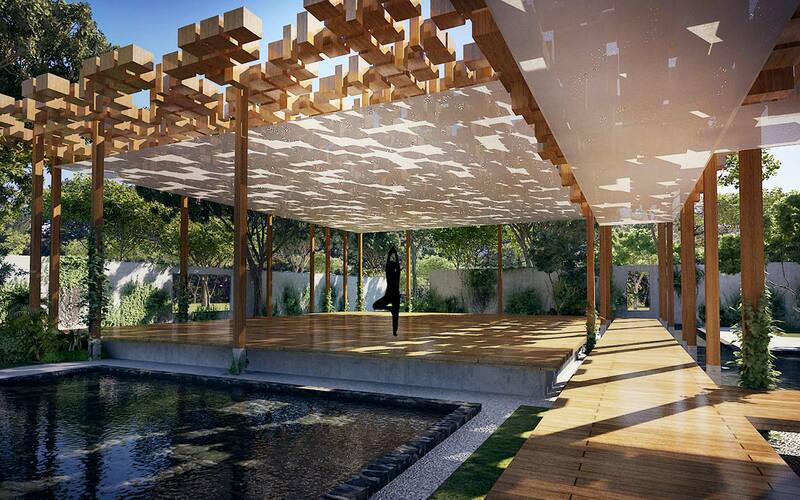 A series of timber yoga pavilions open to the outside and bring in light and sounds from the forest. 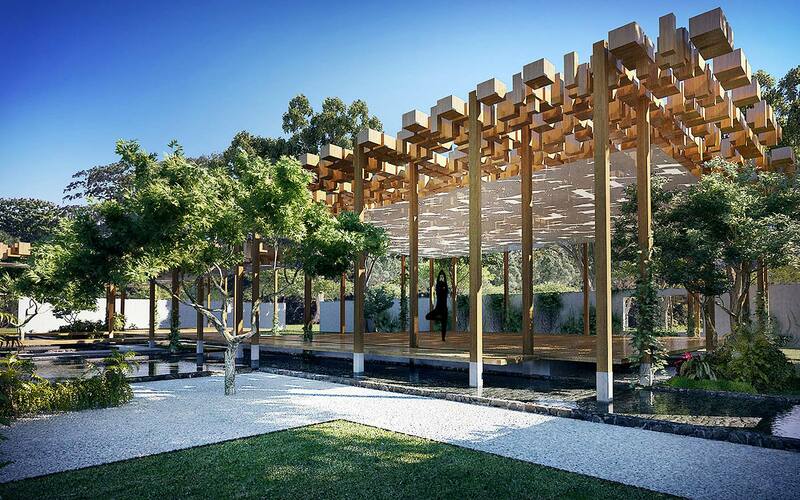 The fabric roof covers and intricate pattern of wood blocks, creating the dappled sunlight you would normally experience under a natural tree canopy. At key moments during the Equinox and Solstice, the view of the sun emerging from the trees is framed and captured by the perimeter wall. This project allowed us to explore a long-held belief that architecture can support the search for wellbeing and happiness. 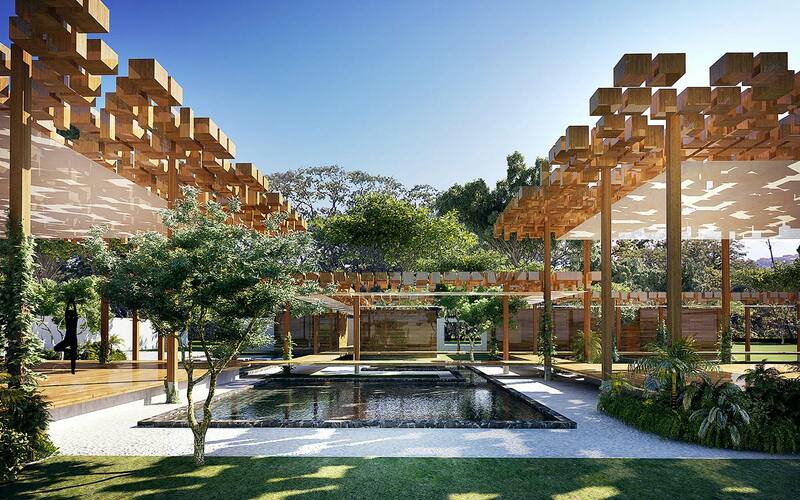 Subtle and humble interventions in the natural landscape, such as the Harmony Wellness Center, allow people to relax and enjoy the world without the cares of everyday life.